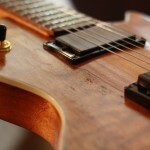 The descision was made for an arcade kill-switch: man up! 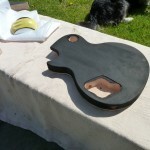 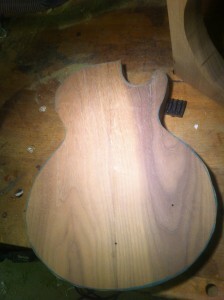 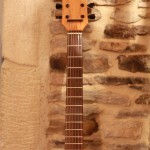 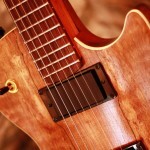 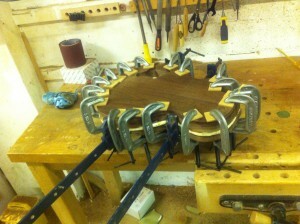 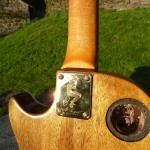 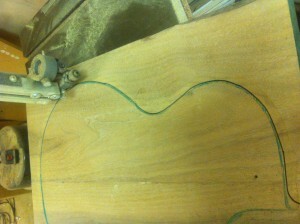 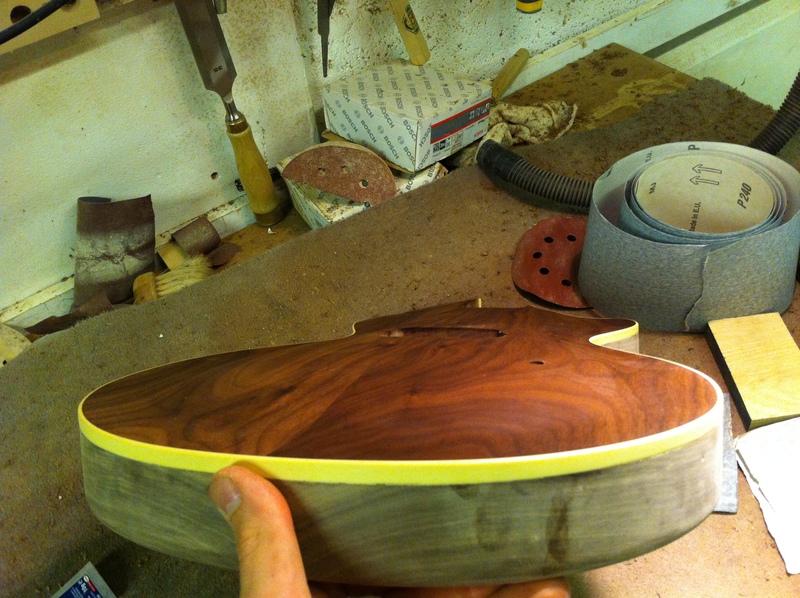 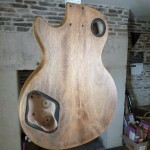 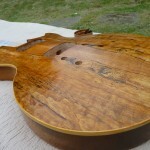 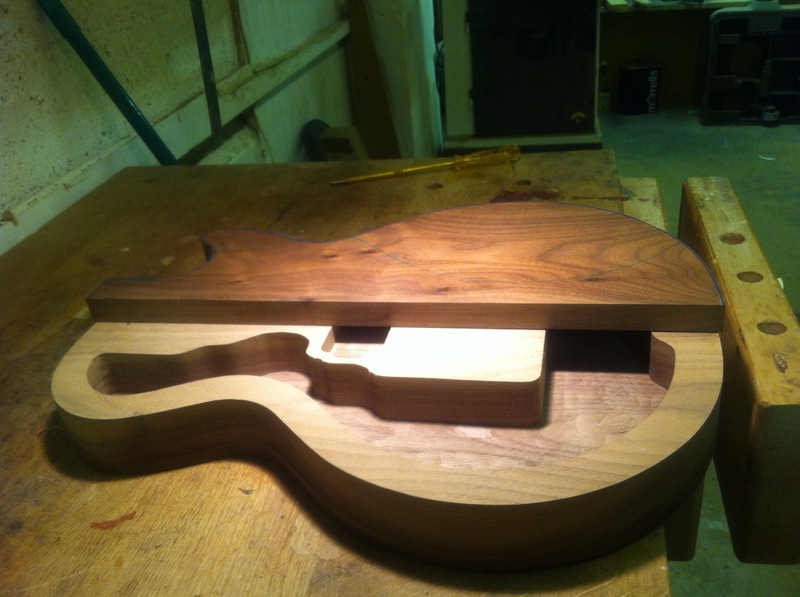 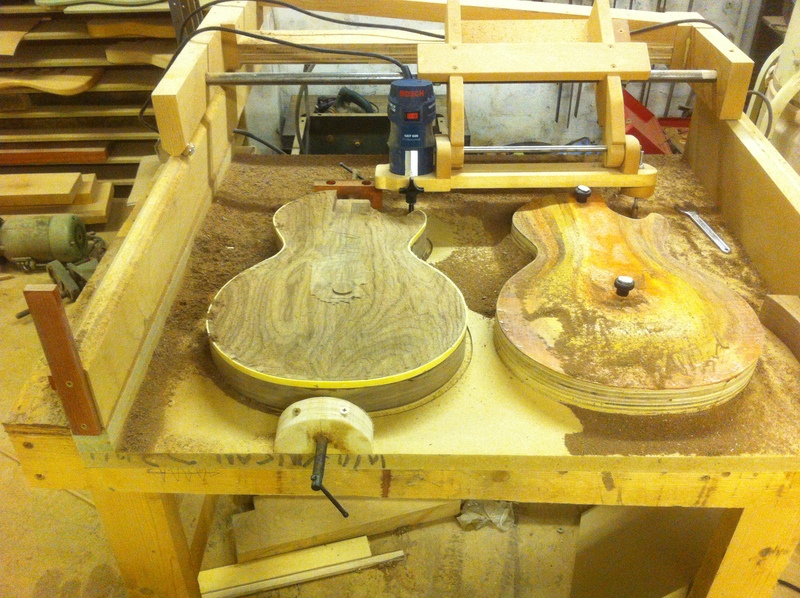 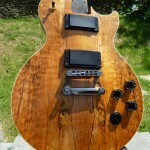 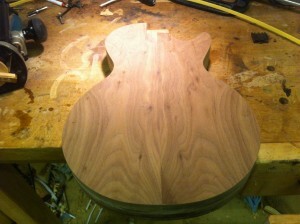 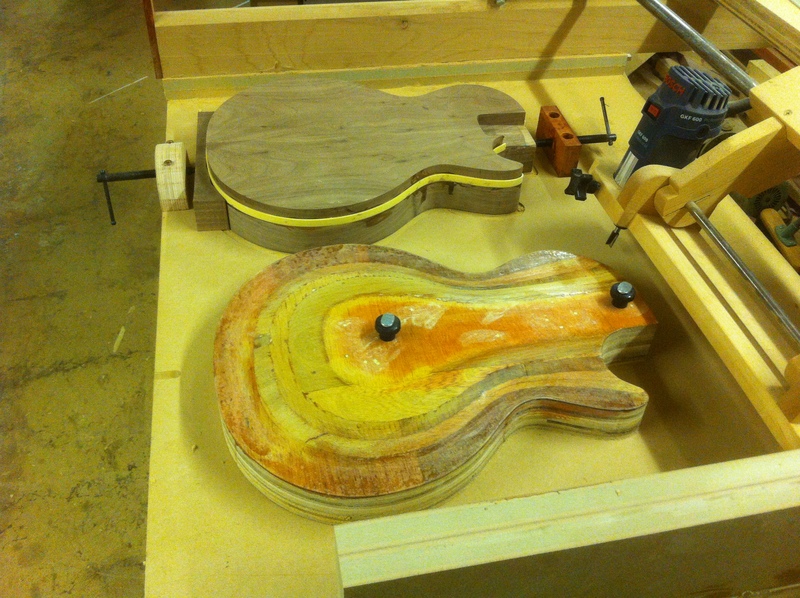 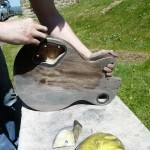 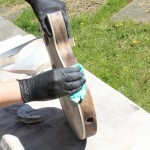 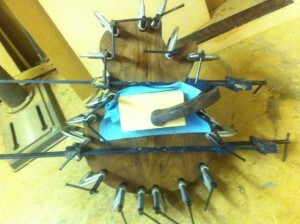 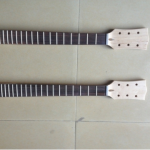 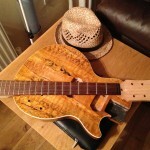 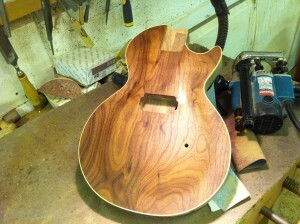 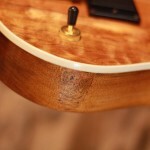 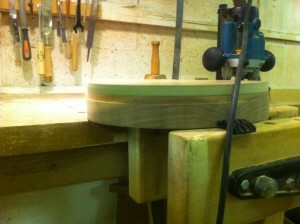 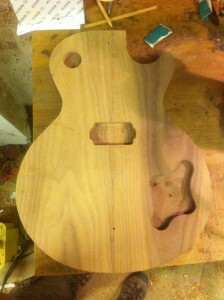 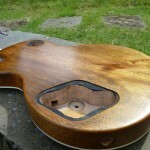 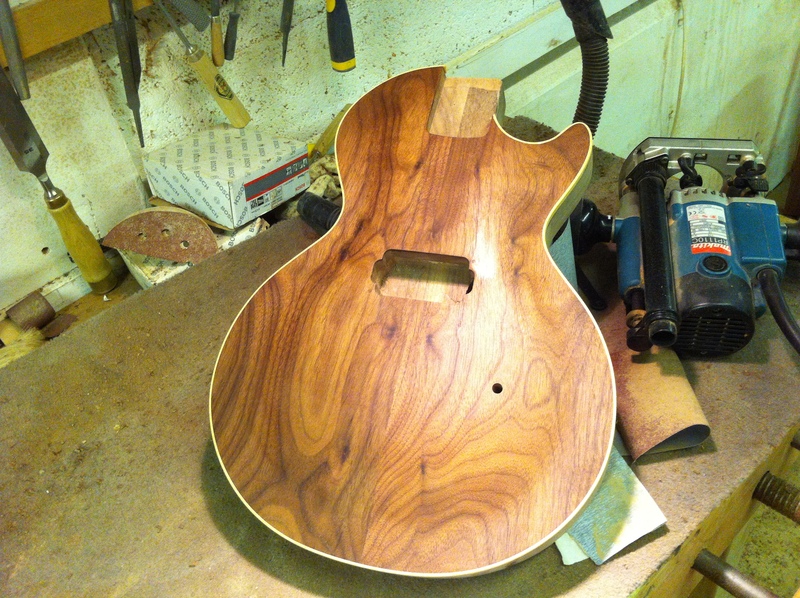 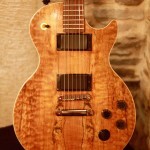 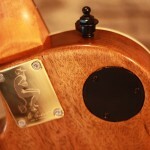 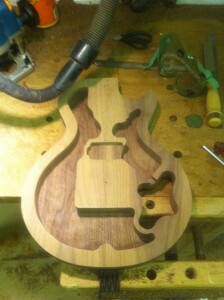 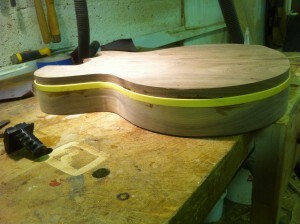 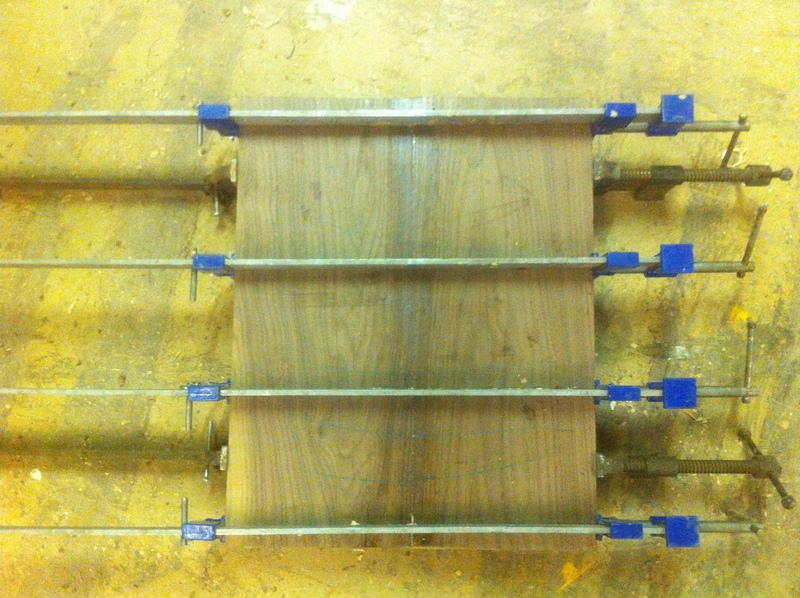 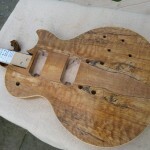 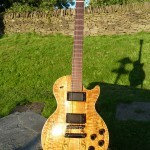 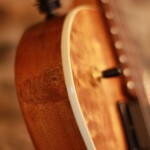 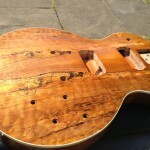 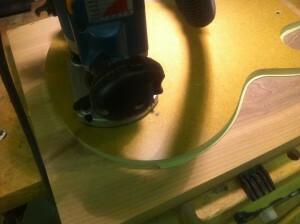 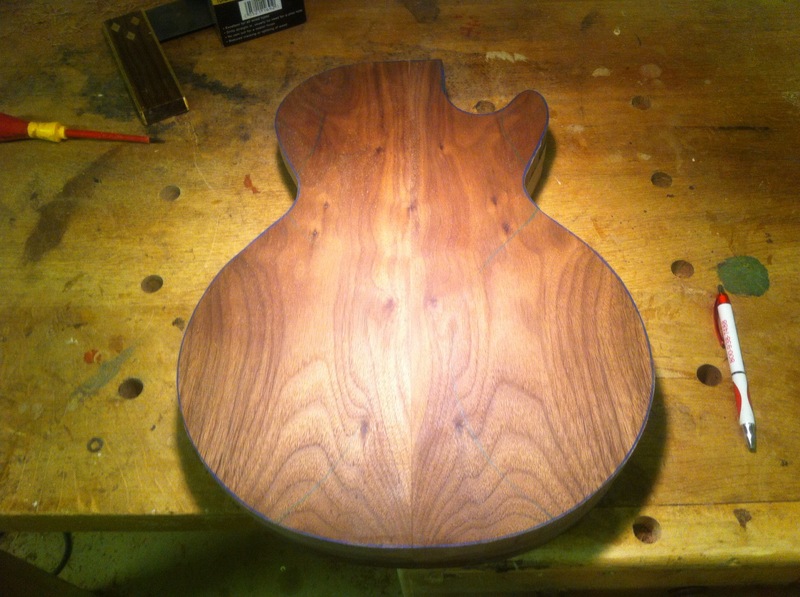 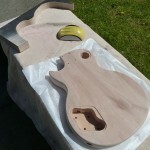 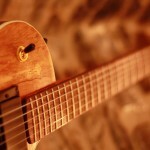 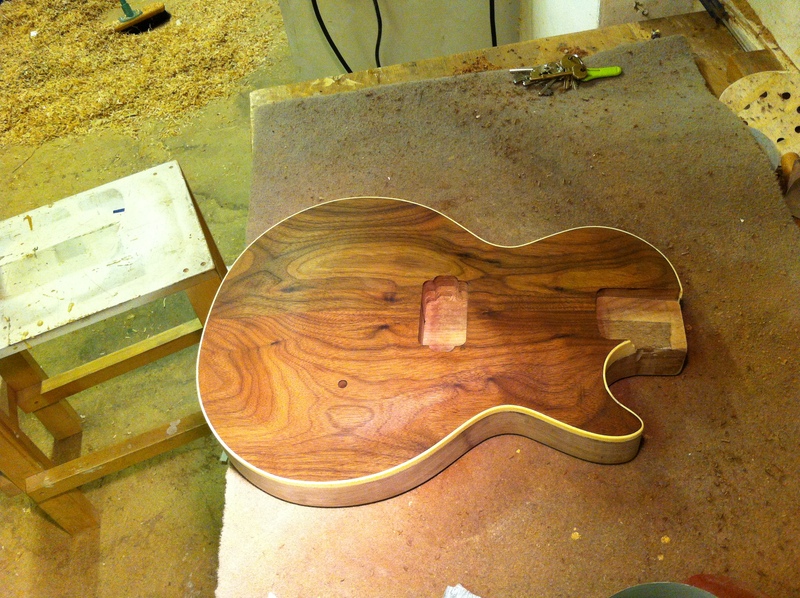 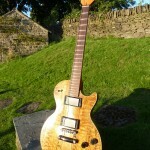 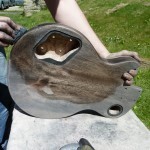 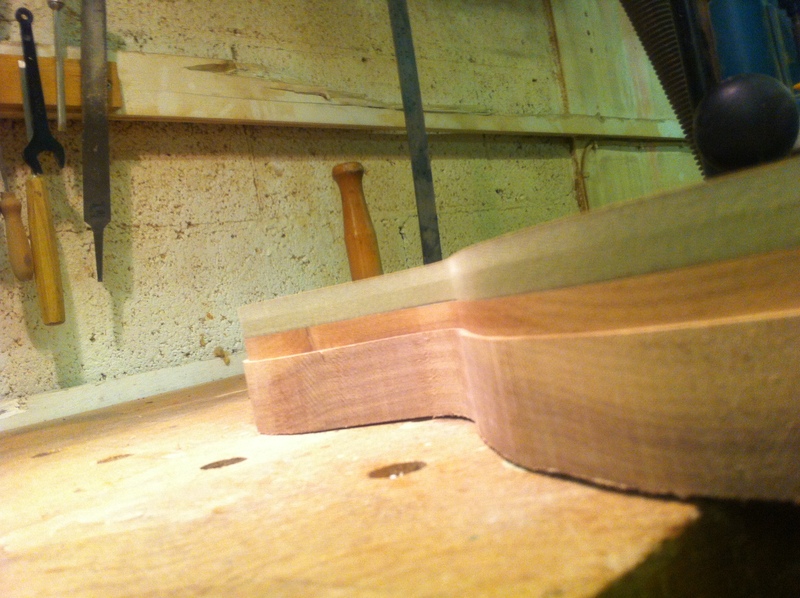 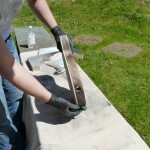 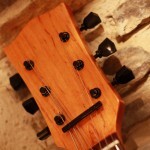 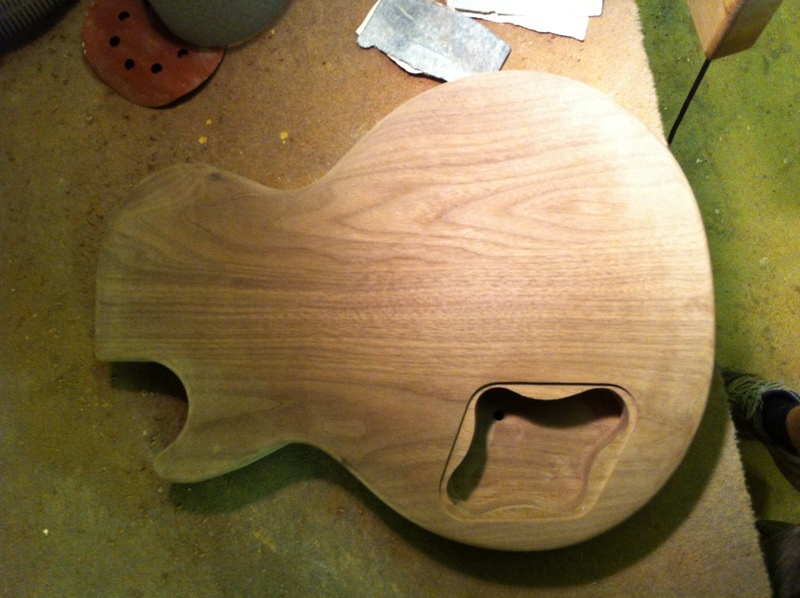 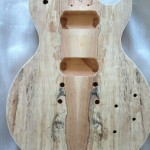 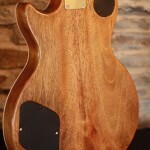 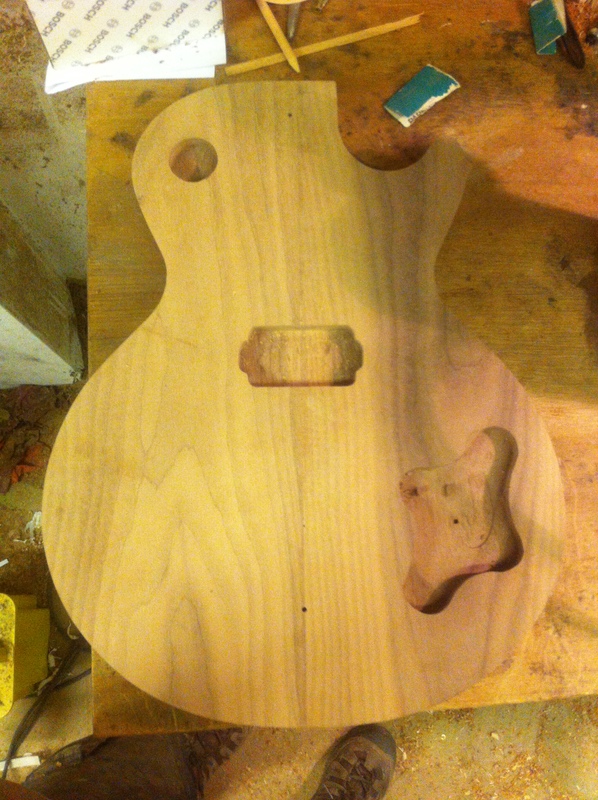 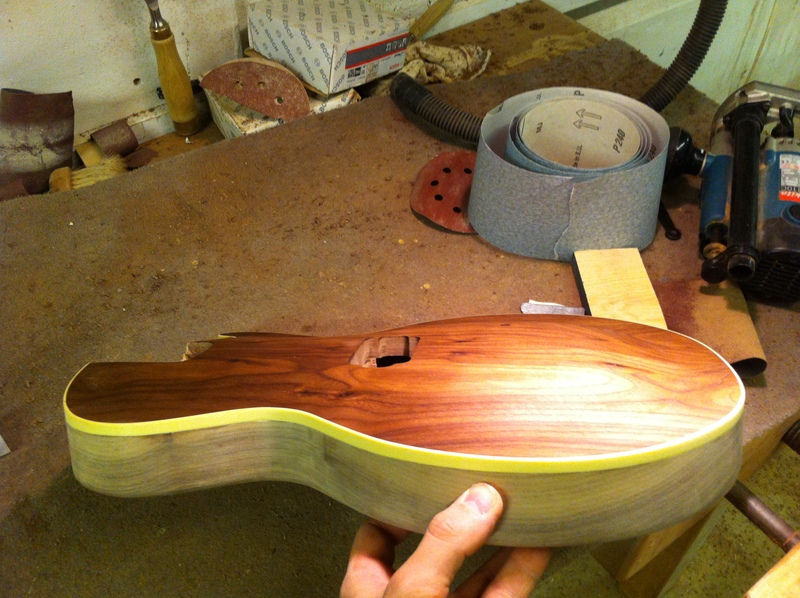 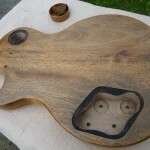 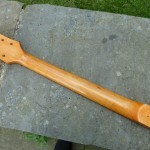 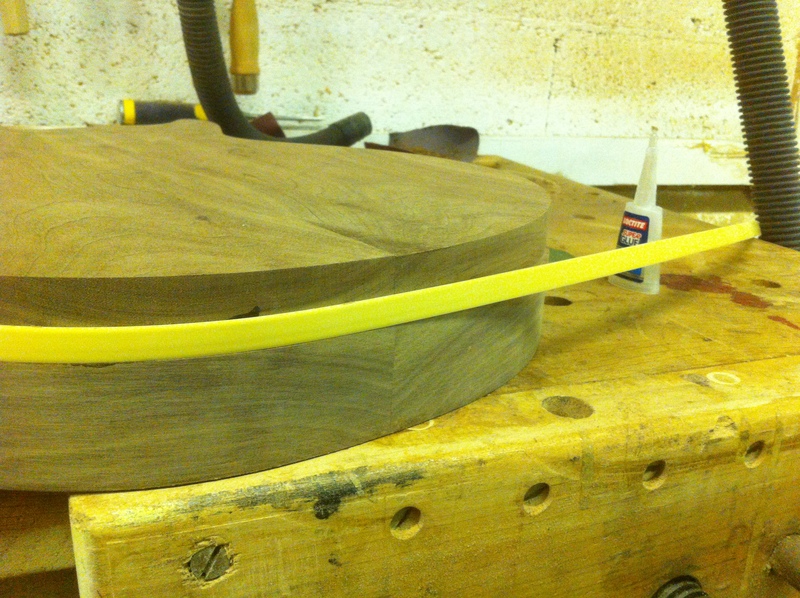 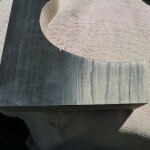 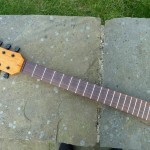 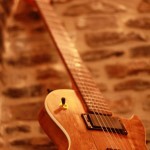 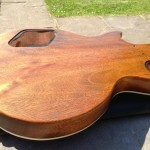 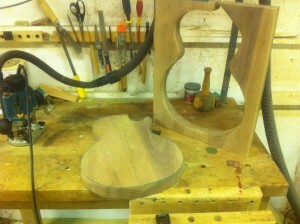 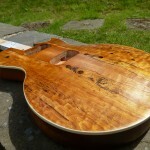 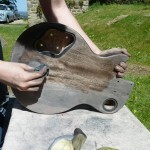 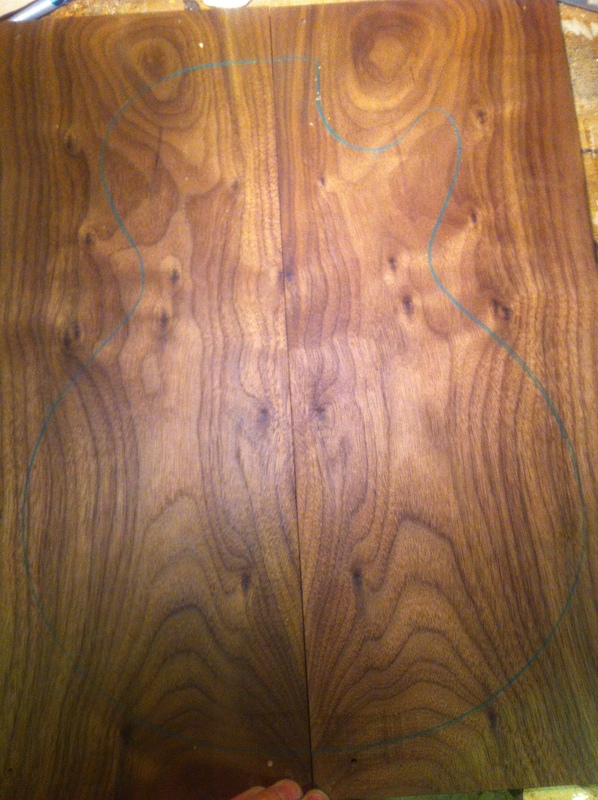 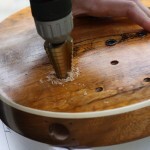 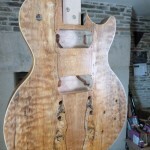 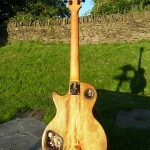 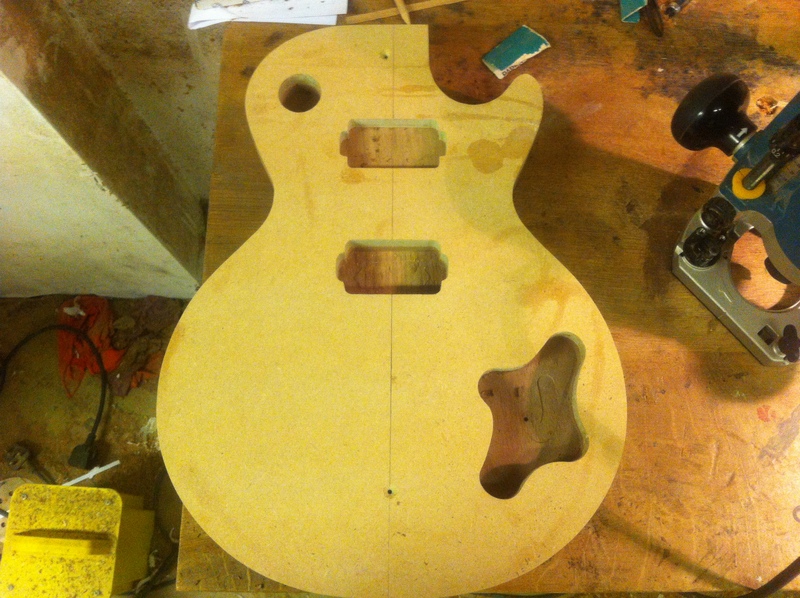 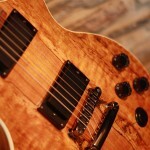 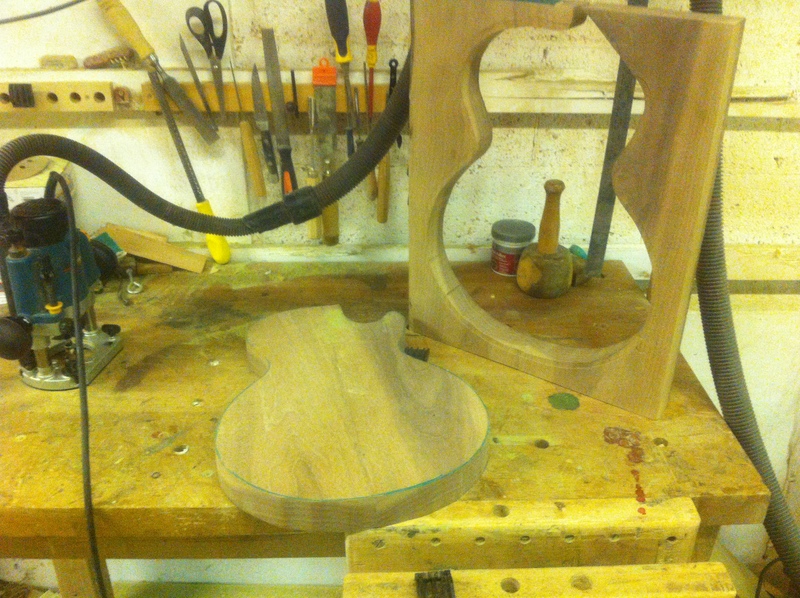 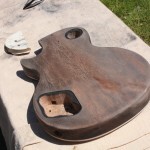 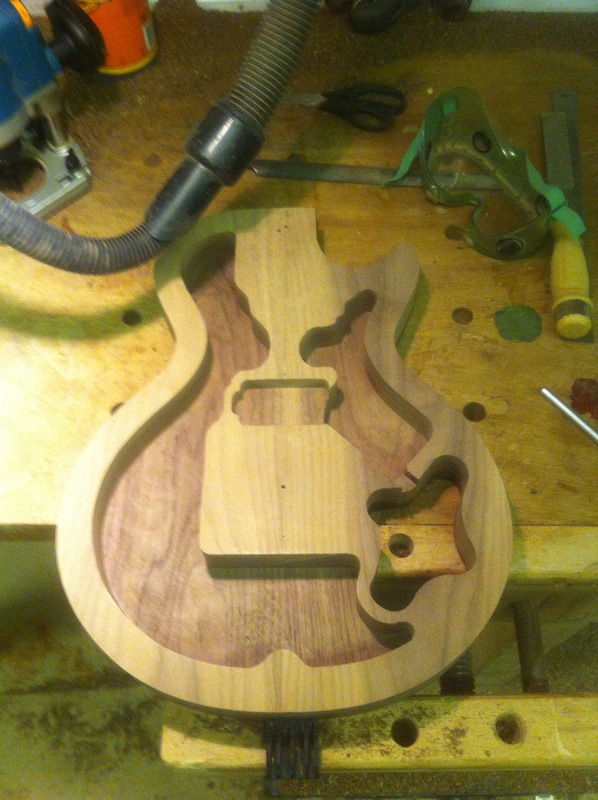 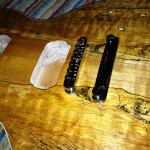 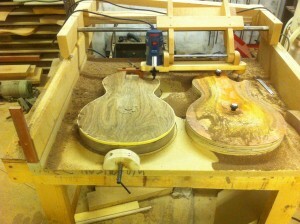 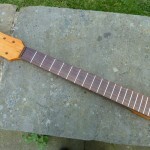 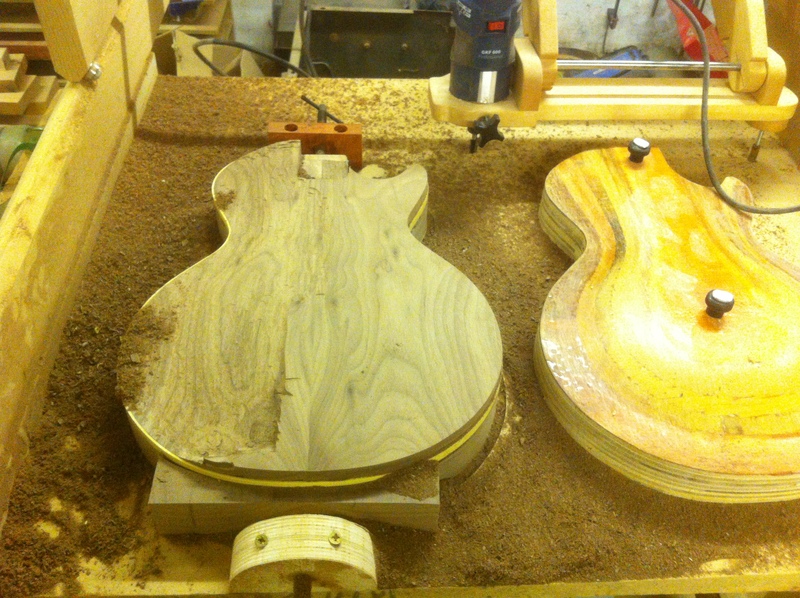 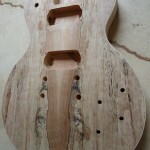 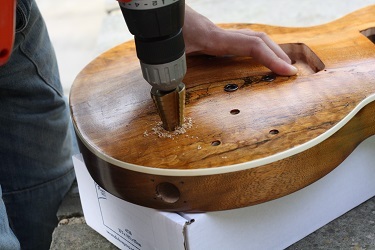 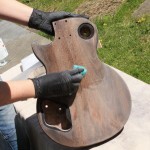 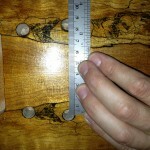 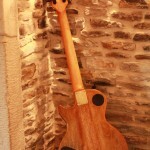 This guitar body was salvaged from the manufacturer as it had a slight imperfection in the left shoulder, which had been inlaid with a mismatch piece of timber. 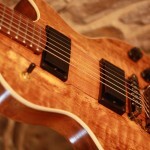 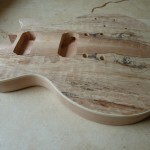 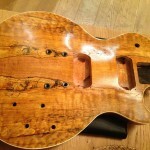 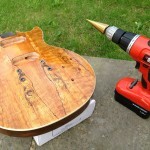 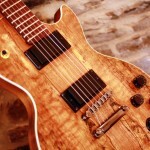 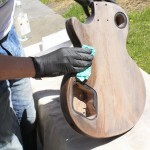 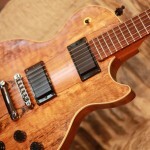 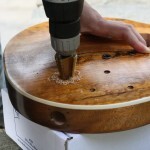 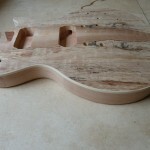 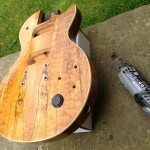 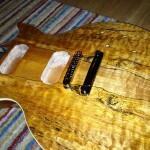 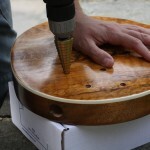 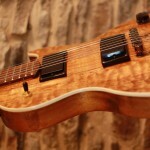 The sponge-like spalted maple top absorbed all of the golden tones of the Wudtone Burning Sun application, and was a pleasure to apply. 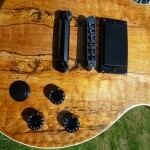 I decided to add a prog-metal style kill-switch into this guitar as a prototype for one I intended to add to my own personal Les Paul. 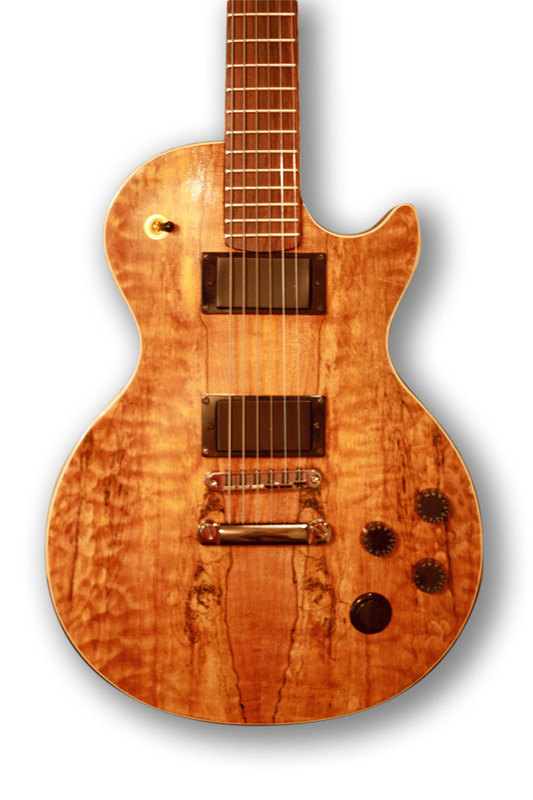 This works very well in execution for staccato-style riffs, but it just wasn’t for me so I never adopted this for my own Les Paul.